The reliability, excellent safety features, capable performance, and well-rounded design of the Accord make it a consistent favorite among families looking for sedans. The Honda Accord is appealing to a range of different drivers because of the various trim levels that provide for a wide range of configurations, allowing you to customize your car to your needs. With the Accord, you have the option of several trims and different engines providing you with the optimum combination of efficiency and power. If you’re looking to drive a car that has excellent fuel economy yet still offers a spacious cabin, superior safety features, and much more, you need to take the Honda Accord for a test drive at Renaldo Honda. Just contact us online and we’ll make all the arrangements to get you behind the wheel of the new Accord you want. One of our product specialists will also let you in on the amazing purchase and lease specials we have available on our new Honda models. 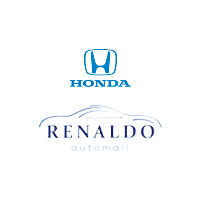 Whether it’s the Accord or the compact Honda Civic, you’re going to get our best deal when you do business at Renaldo Honda. We’re convenient to the Gastonia and Kings Mountain areas with our location at 4421 E Dixon Blvd, Shelby, NC 28152. The 2019 Accord continues to excel in all the ways set forth by the preceding model year. From its bold and eye-catching exterior design to its well-equipped and refined interior, the Accord is a standout among other midsize cars that can’t measure up to the high bar set by the 2019 Accord. Inside the cabin, you’ll find a huge array of convenience, connectivity, and comfort features that promise relaxing road trips and pleasant commutes. The 2019 Accord also remains true to its status as a family car, with practical elements that are important to those shopping in this class: space, efficiency, reliability, and value. As a testament to Honda’s commitment to road safety for all, the 2019 Accord includes Honda Sensing standard on all trims. This package of safety and driver assistance features includes such invaluable equipment as collision mitigation braking, adaptive cruise control, forward collision warning, and more to keep everyone better protected inside the Accord. When you’re ready to see the 2019 Accord in action, stop by Renaldo Honda in Shelby, NC, and speak with one of our friendly Honda brand experts about your options. Even when it first appeared in 1976, the Honda Accord was very popular with drivers. Part of this was thanks to the fact that it was introduced as fuel efficient and hit the market when there was an energy crisis. When it initially came out it had a 4-cylinder, 1.6-liter engine that put out 68-horsepower standard, and the hatch had a remote release. A rear-window defroster and AM/FM stereo also came as standard features. In 1976, it came on a 93.7-inch wheelbase and was only available as a two-door model. In 1978, the LX trim was added, and in 1982 a second generation arrived. Over the years, the Accord continued to grow, offering more space as it did so. In 2008, with the 8th generation, the wheelbase is 16.5 inches longer than when it was first introduced. Drivers who are looking to experience a sporty acceleration with fuel efficiency plus a stylish and roomy cabin should put the Honda Accord at the top of their list of test drives. The interior is loaded with soft-touch materials and it handles exceptionally well for a midsized car. Quit wondering if it’s right for you and come over to Renaldo Honda to visit our selection of new and used Accords! Our expert team will be happy to guide you through our various models and answer any of your questions about different features and trims. We offer financing right at the dealership to help take the hassle out of getting a new car purchased and driven home. We can also help you keep your Accord in top shape and answer your maintenance needs with our service department. Take advantage of Honda Graduate Programs, special offers, and discounts when working with our professionals by asking about these different promotions. Stop by our dealership in Shelby, North Carolina today and we can get you behind the wheel of your favorite Honda for a test drive. *Car and Driver, January 2019. For more information visit caranddriver.com.